Roy Thomas and his wife, Dann Thomas, wrote the series throughout its run. 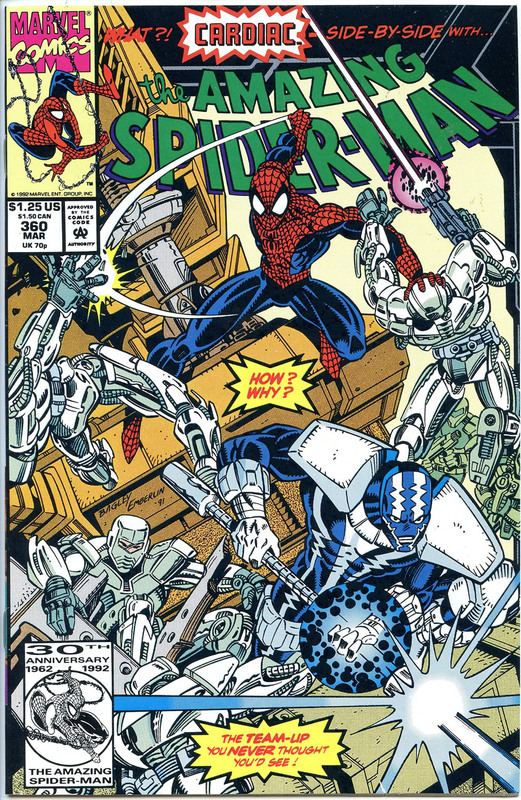 Artists on the series included Jerry Ordway, Don Newton, Todd McFarlane, Michael Bair, and Vince Argondezzi. The group was organized by Sylvester Pemberton, the original Star-Spangled Kid, in Infinity Inc. #1, when a number of JSA protégés were denied admission to the JSA. They instead formed their own group. Members of Infinity, Inc. were known as Infinitors. The series ended in 1988 with the death of the Star-Spangled Kid (by then known as Skyman), and presumably the group disbanded shortly thereafter. Several members have gone on to supporting roles in other comics series. Fury filled a pivotal role in The Sandman and is the mother of Daniel Hall. Hourman, Obsidian, Nuklon (as Atom Smasher), Silver Scarab(as Doctor Fate), and Power Girl eventually joined the 21st century incarnation of the JSA. Originally, the series took place on the parallel world of Earth-Two, but in 1986 it was merged with the rest of DC continuity following Crisis on Infinite Earths. From then on, they shared their spot as Los Angeles’ superteam with the Outsiders, and were involved in a crossover with the New Teen Titans. Superboy became Superboy starring the Legion of Super-Heroes with issue #197 (August 1973). Crafted by Bates and Cockrum, the feature proved popular and saw such events as the wedding of Bouncing Boy and Duo Damsel in Superboy #200 (Feb 1974). Cockrum was replaced on art by Mike Grell as of issue #203 (August 1974) which featured the death of Invisible Kid. With #231 (September 1977), the book’s title officially changed to Superboy and the Legion of Super-Heroes and also became a “giant-size” title. At this point, the book was written by longtime fan Paul Levitz and drawn by James Sherman, although Gerry Conway frequently wrote as well. Saturn Girl and Lightning Lad were married in All-New Collectors’ Edition #C-55 (1978), a treasury-sized special written by Levitz and drawn by Grell. In #241–245 (July–December 1978) Levitz and Sherman (and then Joe Staton) produced what was at that time the most ambitious Legion storyline: “Earthwar“, a galactic war between the United Planets and the Khunds, with several other villains lurking in the background. During this period, Karate Kid was spun off into his own 20th Century-based self-titled series, which lasted 15 issues. Levitz left the book, to be replaced full-time by Gerry Conway. Superboy departed from the Legion due to a plot of a villain, and the book was renamed simply Legion of Super-Heroes starting with issue #259 (January 1980). Editor Jack C. Harris hired Steve Ditko as guest artist on several issues, a decision which garnered a mixed reaction from the title’s readership. Jimmy Janes became the regular artist in a lengthy tale by Conway (and later Roy Thomas) involving Ultra Boy’s disappearance during a mission, and his long odyssey to rejoin the team. This story told the tale of the Legionnaire Reflecto (only glimpsed during the “Adult Legion” stories in Adventure Comics), featured villainy by the Time Trapper and Grimbor the Chainsman, and saw Superboy rejoin the team. Ronin (formally written as Rōnin) is a limited series published between 1983 and 1984, by DC Comics. The series was written and drawn by Frank Miller with artwork painted by Lynn Varley. It takes place in a dystopic near-future New York in which a ronin is reincarnated. The six-issue work shows some of the strongest influences of manga and bande dessinée on Miller’s style, both in the artwork and narrative style. Ronin was in part inspired by Kazuo Koike and Goseki Kojima‘s manga series Kozure Okami. (Though Kozure Okami would receive an English localization several years later as Lone Wolf and Cub, at the time Miller could not read the text and had to rely on the artwork for his understanding of the story.) According to former Marvel Comics editor-in-chief Jim Shooter, Ronin was originally slated to be released as part of Marvel’s Marvel Graphic Novel series. Ultimately, however, Miller was persuaded by publisher Jenette Kahn that DC Comics would give him as much freedom as he desired for the series, and the first issue of Ronin was published by that company in 1983. With issue #174, EC Comics veteran Joe Orlando was hired by DC to take over as editor of House of Mystery. As the Comics Code Authority was now being challenged by both DC and Marvel over content restrictions, the series returned to its overt horror themes. The first issue under Orlando would be a reprint issue of old horror/suspense stories, as the new direction would truly begin with #175 (July–August 1968). The issue would introduce a new figure to the series, Cain, the “able care taker” of the House of Mystery who would introduce nearly all stories that would run in the series before its cancellation. Cain would also host the spin-off humor series Plop! and later become a recurring character in Blue Devil and The Sandman. House of Mystery was in the Dollar Comics format for issues #251 (March–April 1977) to #259 (July–August 1978). House of Mystery featured stories by writers T. Casey Brennan (#260, 267, 268 and 274) and Scott Edelman (#257, 258, 260, 264, 266, 270, 272, 273). Orlando’s tenure as editor ended with #257 (March–April 1978). Green Lantern would know a number of revivals and cancellations. Its title would change to Green Lantern Corps at one point as the popularity rose and waned. During a time there were two regular titles, each with a Green Lantern, and a third member in the Justice League.